Mum lives 10 miles away, quite deaf, Dads normally in the garden or tinkering in the garage. Mum and Dad then both see the message and that it was heard from 'Daughters - Echo'. 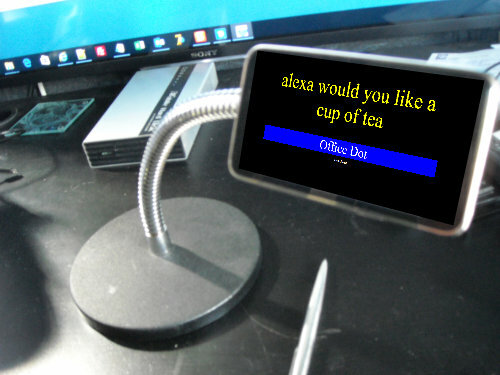 Anything with a browser can receive what Alexa heard. I really want to "share" the things I listen to with the other Echos (dots) in my house, is there a way to do this without a PC? Dot 'Broadcasting' is coming but that's still audio only. The thinking here was a visual solution for those hard-of-hearing. Are you thinking more towards 'Dot' intercom? or 'Dot' music share?